Good Morning all you early risers, it’s Liza, the Owner of The Wandering Path. During this time of year, my favorite thing to do is to walk among the winter trees. 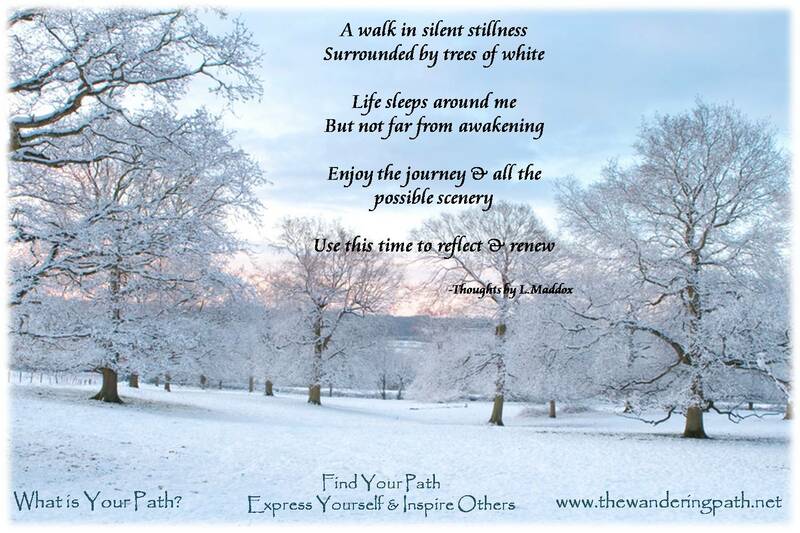 The stillness, the freshness of the snow….usually allows me to review the year that is ending and begin to look at what I wish for myself in the coming year. While I may live in Florida now, I can project myself to a walk I have taken many times in my Grandmother’s woods. It is truly a sanctuary for me and even though I live thousands of miles away…during this time of year I wish I was there, to not only be surrounded by her calmness but also to enjoy the peace I find when I’m there. As I get ready to leave for another weekend at the Flea Market & ask the “powers that be” to bless me with the numbers I need to allow the business to continue…I also know I can’t stress out over things I cannot control and so if I can relax & meditate to this place…I can only wish for those that need my offerings arrive or begin their journey’s to their version of wellness that may send them my way. Have a fantastic weekend & please don’t get too stressed yourselves with the holidays approaching. Good Morning Everyone. Friendships can see you through both the greatest highs and lows of your life. Cherish those individuals who truly enjoy the journey with you. This Friday after the work week ends…have a bit of fun among friends; enjoy a laugh…put the work week behind you and begin your weekend with a smile. Our new stock should be in next week and we will also be posting the promised “why” sheet for the Blood Sugar formula we carry & how it has helped beyond just what the label says (yes we are excited at the other factors). Our weekend ahead will be a “research heavy” weekend as we MUST see if we can get a booth at a local flea market to try to sell some of our lovely wares. 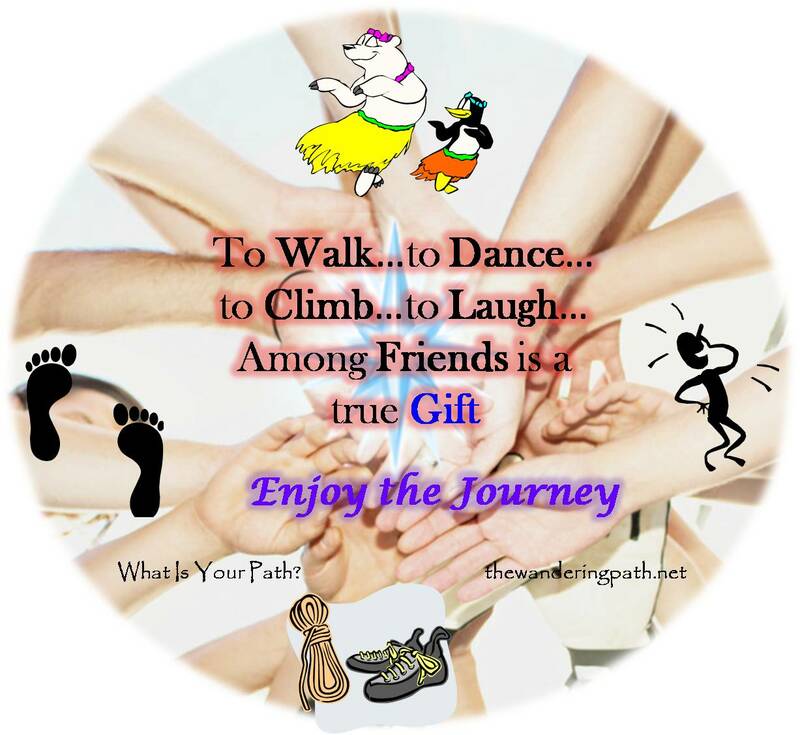 Enjoy your journey, support one another…you are truly gifts to each other among the journey of life…we certainly see you as gifts to us. BB! The Wandering Path Staff.